Remember last year’s headlines around a self-healing smartphone? It was the much-talked about and then dead-in-the-industry LG G Flex that took all of the coverage space and suddenly went out of everywhere. Regardless of how much the device was adopted by users internationally, we are reportedly going to see a successor of the LG G Flex, comes CES in January 2015. Consumer Electronics Tradeshow is an annual geekfest where lots of new gadgets and technologies are displayed. Sony’s Xperia Z4 and Z4 Ultra are already lined up for a big show at the event and apparently, LG G Flex 2 will join the lot as well. The details of LG G Flex 2 comes through Android Authority who have sourced this information from persons close to the matter. According to the rumored information, LG G Flex will be a major upgrade over its previous generation Flex. Last year, we had seen some rumors about LG working on some drastically different curved design for G Flex. However, it is a little too early to expect a fully curved smartphone. Reports suggest that LG might be working a radical design change offering dramatic bending of the phone due to the use of a special hard rubber chassis. G Flex 2 is expected to feature a high res plastic Full HD OLED screen. The upcoming flexible smartphone will also naturally be able to self-heal itself; perhaps with improved qualities of healing. 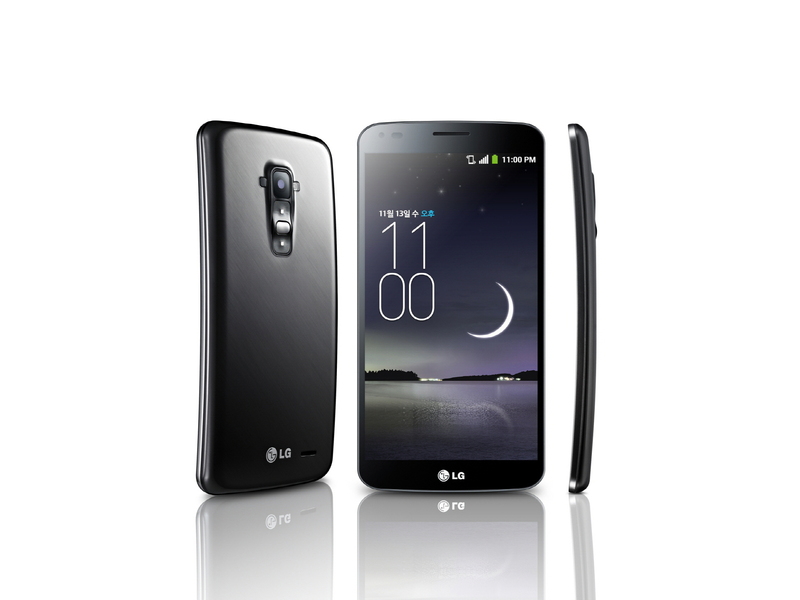 LG G Flex was only second major smartphone to have a curved design following Samsung’s Galaxy Round. Device offered a top to bottom curved form which, once bent, was able to reclaim its original shape without any injuries or damages. Device was able to heal its surface’s scratches, hence the self-healing smartphone. We will be updating you if we see more rumors around this particular device. With CES nearing, we expect to see truckload of new details and rumors about new gadgets and technologies. Stay tuned and enjoy your holidays!